While some companies are adding to their chicken recall, two more have joined the fray. Over the last couple weeks, Perdue foods has issued multiple chicken nugget recalls due to an undeclared allergen, an incorrect UPC code, and some nuggets that contained actual wood in them. And Tyson foods issued a nugget recall due to concerns over being contaminated with rubber. Pilgrim’s Pride and Taylor Farms. are both issuing recalls of some of their chicken products. Pilgrim’s Pride is recalling nearly 60,000 pounds of “uncooked breaded chicken due to possible rubber contamination” and Taylor Farms is recalling more than 2,000 pounds “mislabeled chicken items that contain a known allergen.” The Pilgrim’s Pride chicken was sold to Publix Super Market stores in the state of Florida and was produced on January 4th. Taylor Farms has issued a recall after their HEB Roasted Spaghetti Squash with Alfredo & Chicken was “incorrectly labeled as Chile Relleno”. HEB Roasted Spaghetti Squash with Alfredo & Chicken contains wheat, and wheat was not listed on the incorrect Chile Relleno label. The wrongly labeled chicken was created January 25-30, 2019 and shipped to stores in Texas. 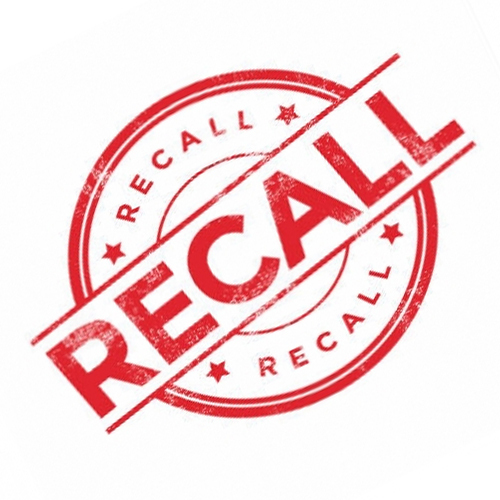 Consumers that purchased recalled chicken should discard the items or return them to the stores they were purchased from.